Edgeland continues Storrow's dedication to alternate views of nature. Stimulated by sights on a mountain drive in her home state of Vermont, she began a series of stacked drawings. These evolved into Solitary Journey, an installation which wanders up the wall with dark green tracings suggesting imaginary paths. Solitary Journey, led to other pastel drawings with more color in a smaller square format. 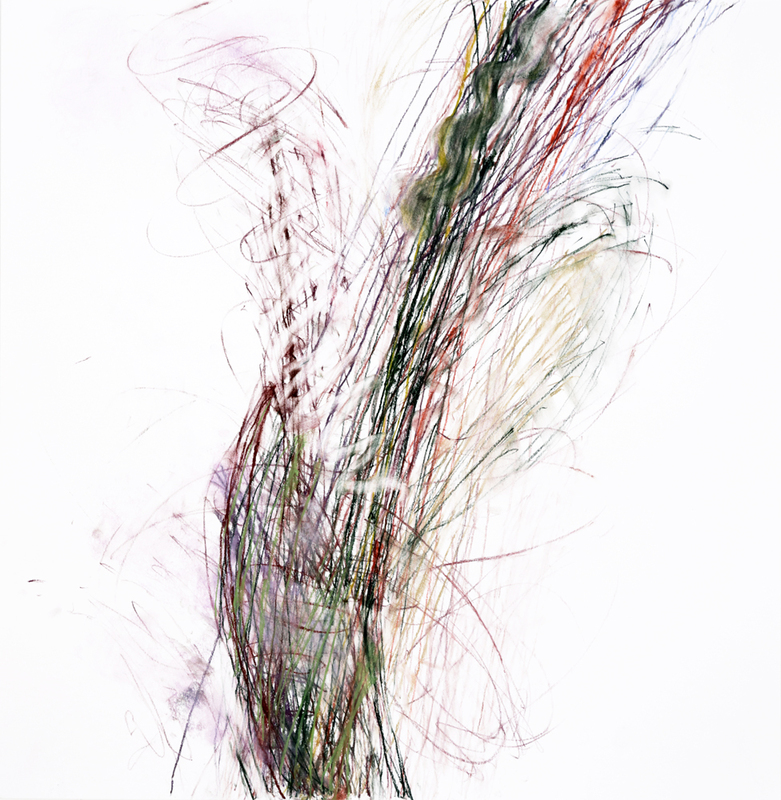 In these, bands of layered lines depict a further possibility, an intimate experience within. Each drawing may be seen as the spirit of a place, an elaboration of it or a separate story.